Looking for a fun, easy science experiment for kids? 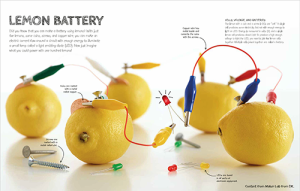 This lemon battery project from Maker Lab is a science fair classic, and a great addition to a classroom lesson plan. Download the step-by-step project below for a surefire fun day for your child or students.